The last step in installing EZ is to install it on the EZ Client machines. The build is shared by your EZ Admin after EZ Updater has been set up. On the client machine, download your OS specific build from the link shared by your EZ Admin. The link will point to the EZ Updater machine and should look like this: https://[EZUpdaterIP]:[EZPort]/client/download.html (for e.g. https://192.168.0.17:5551/client/download.html). 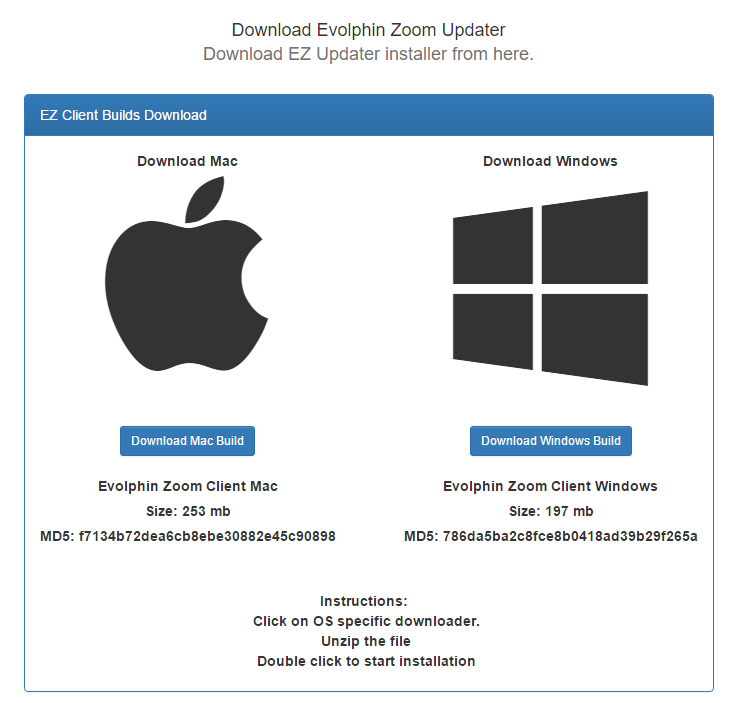 Only the link shared by your EZAdmin, that points to your EZ Updater (https://[EZUpdaterIP]:[EZPort]/client/download.html) should be used to install EZ Clients. Any other client builds will not work. Download your OS specific build from https://[EZUpdaterIP]:[EZPort]/client/download.html (for e.g. https://192.168.0.17:5551/client/download.html). This link is shared by the EZ Admin. Execute ez-client.pkg or ez-client.msi file as per the OS. On a Mac machine, you will need to go to System Preferences and explicitly allow the setup to run. The EZ Client now is ready. EZ Assistant is the application for accessing EZ Updater features on the EZ Client machines. On a Windows machine, if the EZ Client already had Zoom Client, then after installing EZ Client make sure the installer for that version of Zoom Client is also present on the EZ Updater machine (not necessarily approved). This will be downloaded and saved by the EZ Client locally for the purpose of uninstallation. 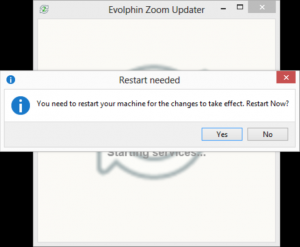 Whenever an EZ Assistant on a Windows machine tries to install a new Zoom update, the previous Zoom version can only be uninstalled if it is already available on the EZ Client machine. 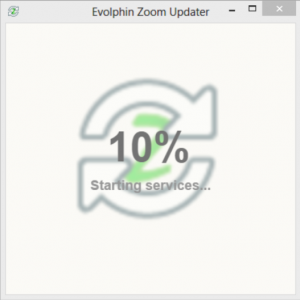 For this purpose, Evolphin Servers only support providing old builds from Zoom 6 onwards. Windows client machine must be restarted after any Zoom update/installation by the EZ Client. After installation, the EZ Assistant will start automatically. The EZ Assistant checks for updates to Zoom Client. 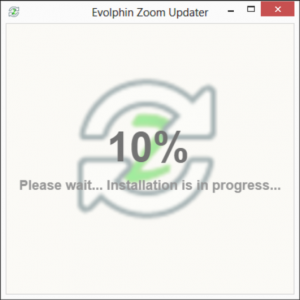 Click Install Now to install the latest available Zoom Client. 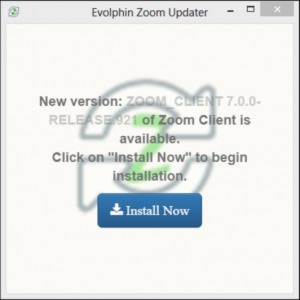 EZ Assistant will download and install the Zoom Client. On a Windows machine, EZ will prompt to restart. Click Yes to restart your computer. The latest available Zoom Client is now installed on the Client machine. 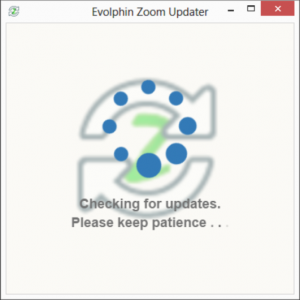 EZ is now ready to monitor and install Zoom Client builds as made available my your EZ Admin. Check EZ Client page to know about how EZ Assistant automates this.